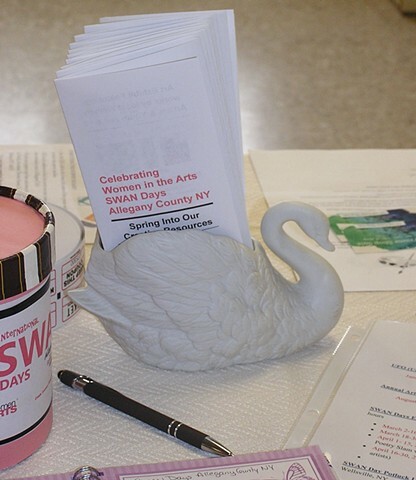 The 2019 SWAN Days Allegany County, NY Art Show and Sale at David A. Howe Library Amplified the work of 18 local women artists, thirty-one visitors stopped in to vote for their favorites, and thirteen guests attended the SWAN Day Party at Trinity Lutheran Church where we shared a potluck lunch, met members of the Belfast Organization for Artists, invited local artists to join an online directory to help patrons find their work, and presented the Awards to the Art Show winners. Data is still coming in about other SWAN Days activities in the county. As I make notes and decisions that will impact SWAN Days Allegany County NY activities in 2020, I could really use some input from you.